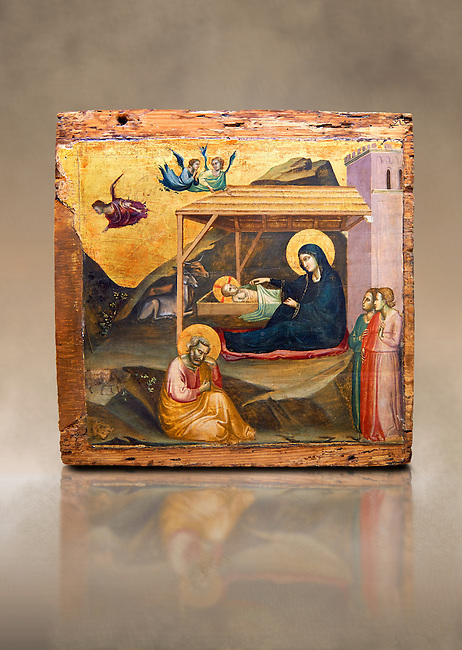 Gothic painted panel of the Nativity scene by Taddeo Gabbi of Florence, circa 1325, tempera and gold leaf on wood. National Museum of Catalan Art, Barcelona, Spain, inv no: MNAC 212807. Against a art background.